More than 10 sports cars have been added to our website for this year and they are in demand. But what to do when you want a big truck for off-road travel? 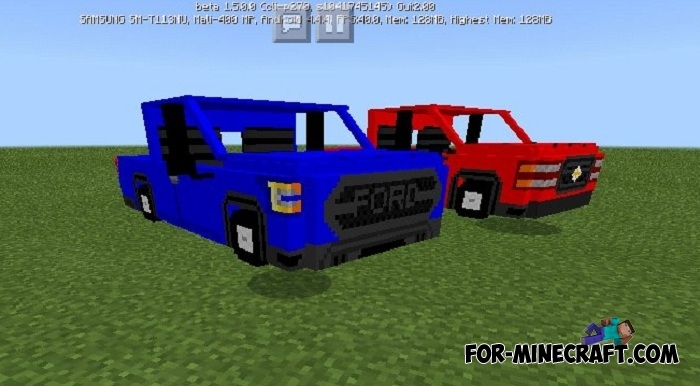 Fernan took this request into account and implemented two genuine pickup trucks for Minecraft Bedrock. With their help, you can effortlessly navigate anywhere on the map with the special comfort of a large truck. 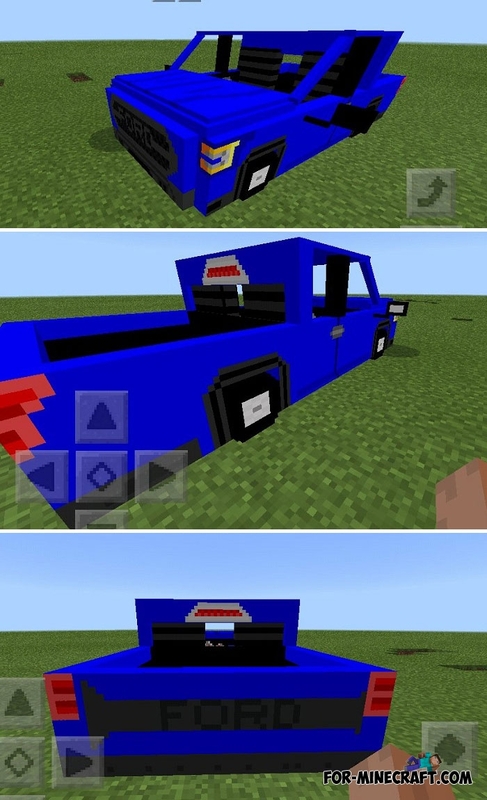 There are two trucks of blue and red colors. You can drive the first one and put the second in the garage and vice versa. The easiest way is to use creative inventory to instantly get a new truck. Sit in the driver's seat and turn the steering wheel in the desired direction with a carrot on a stick. McLaren addon can come in handy for those who want to get a very fast and rare car for very wealthy people living in expensive mansions. 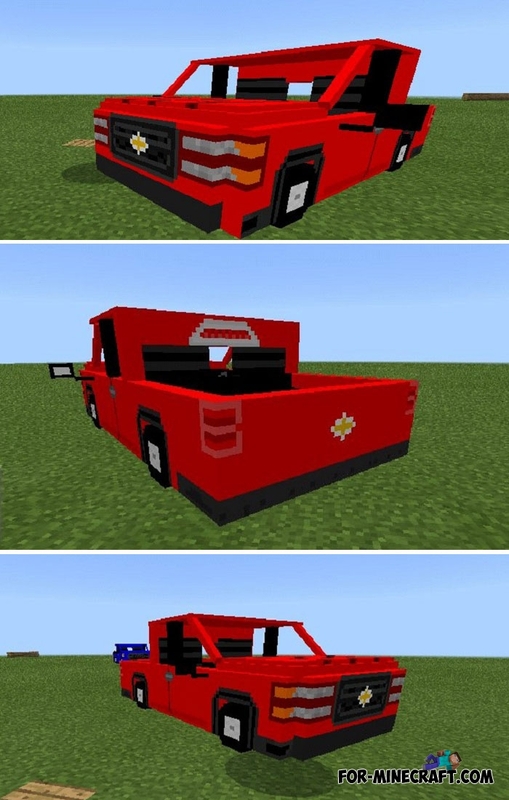 How to install the Light-Duty Trucks addon?